This photo kinda’ sums it up for me. Snow this weekend. Really? I suppose it’s good news for the foresters, but our garden seedlings are getting huge waiting for an all clear to get out in the actual garden. Can’t come soon enough. Free Fun Weekend is just a month away. It is June 1 and 2 this year. Thought I’d remind you now so you can reserve the dates with the grandkids or a buddy. And, of course, entrance to parks and forests is also free that weekend, so let your friends and neighbors know, pack your gear and a picnic basket. More information about free fishing is here. And, more information about free parks and forest entrance is here. Earth Day – the 50th, if you can believe it – was just celebrated. 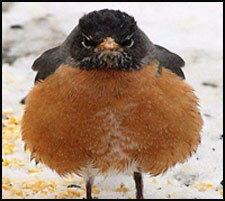 In an email that likely was appreciated by DNR employees, Secretary Preston Cole sent an Earth Day message to staff. Today we join the millions of people around the globe in celebrating the natural beauty of our planet. We are also reminded on this day what we can do to keep it healthy. Just as we do each year, DNR staff members are involved in a variety of Earth Day activities to showcase the many efforts we undertake throughout the year to keep our air, water and soil clean. Wisconsin is home to a wealth of bountiful natural resources. To us these efforts to protect those resources transcend a single day. Rather, our work is a daily effort to maintain a healthy, sustainable environment in the midst of a changing climate and provide a vast selection of outdoor opportunities for people of all ages. On this important day founded by Wisconsin native Sen. Gaylord Nelson nearly 50 years ago, I commend all DNR staff on your efforts to protect and manage our natural resources. Your work is greatly appreciated. I encourage you, your family and friends to take part in an Earth Day activity in celebration of your personal devotion to Wisconsin’s natural beauty. Finally, in interesting news on the solid waste front, trash thrown away by Dane County residents will now help reduce greenhouse gas emissions as the county turns on its processing plant that will turn the gas released from decomposing garbage into transportation fuel. I’m sure more information will be in the news. Better weather is coming. 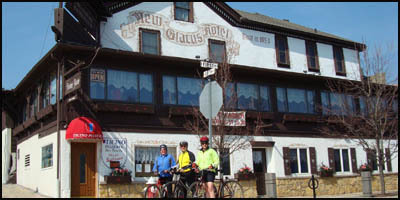 I hope you will take the beautiful drive out to New Glarus on May 1st and join your friends and colleagues for lunch at one of our favorite spots, the New Glarus Hotel.